It’s no secret that I love goat cheese – of the 12 types of cheese I have listed in my Ingredient Index, goat cheese is the most used in my recipes! So when I was asked if I wanted to participate in a virtual potluck to celebrate the release of Tasia’s Table, a cookbook by the award-winning cheesemaker at Belle Chevre, I immediately said yes! 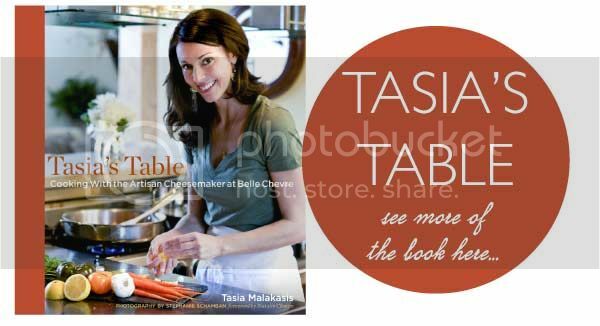 Tasia’s Table isn’t just about goat cheese, though it is an ingredient in many of the recipes, but is a celebration of Tasia's two main culinary influences: Southern and Greek. To celebrate the book’s release, each participating blogger chose a recipe from the book to share in a virtual potluck today. I had a ridiculously hard time choosing a recipe to make – goat cheese gratin, goat cheese and caramelized onion tarts, wild mushroom and goat cheese pasta, or even goat cheese cheesecake! - and I wish I could have shared five or ten recipes, but I finally narrowed it down to this puréed cauliflower with goat cheese. And I'm so glad I chose it! I had recently tried mashed cauliflower for the first time and was surprised at how much I loved it. Even more than mashed potatoes! And I love mashed potatoes! Adding goat cheese to the cauliflower was a brilliant idea – it adds a wonderful but not overpowering flavour while keeping the mixture smooth and creamy. Throw in some garlic and rosemary and you’ve got a pretty tasty dish! I ate my first batch way too quickly and am thinking of making it again for Canadian Thanksgiving this weekend, it's really easy to make and I think it would be a great side dish to complement the meal! Be sure to check out all the talented bloggers participating in the potluck to see what they made - many of them are also offering giveaways for a chance to win the cookbook for yourself! Add cauliflower to a large flat-bottomed skillet or saucepan with enough water around the cauliflower so that it is halfway covered. Bring to a boil, reduce heat to simmer, cover tightly and let steam until cauliflower is tender, about 10-12 minutes. Once cauliflower is cooked, remove from heat. Using a slotted spoon, transfer about half the cauliflower to the large bowl of a food processor, being careful not to add water with the cauliflower. Add the garlic and process quickly in short bursts of five or ten seconds. Scrape down the sides of the bowl and add the rest of the cauliflower. Process until cauliflower looks like mashed potatoes, then transfer to a bowl and mix in the butter, herbs, salt, pepper, and goat cheese. Add the smaller amount listed of each ingredient to start, then taste and add more if desired (it's a lot easier to add ingredients then to take them away!). Serve warm. I like to add a bit (1-2tsp) of dijon mustard for some extra zing! Note: I was not asked to review the cookbook, but I really liked it and wanted to share a few of my thoughts! Yum, that sounds delicious and really does look just like mashed potatoes! I hope you make this again for Thanksgiving so that I get a chance to try it! I LOVE goat cheese too! This cauliflower dish has me intrigued. I've never tried pureed cauliflower and it looks surprisingly similar in consistency to mashed potatoes. And the fact that you said you liked it MORE than mashed potatoes really has me thinking! I'm definitely going to try it! Happy Canadian Thanksgiving from one Canadian to another! I just recently discovered pureed cauliflower too! 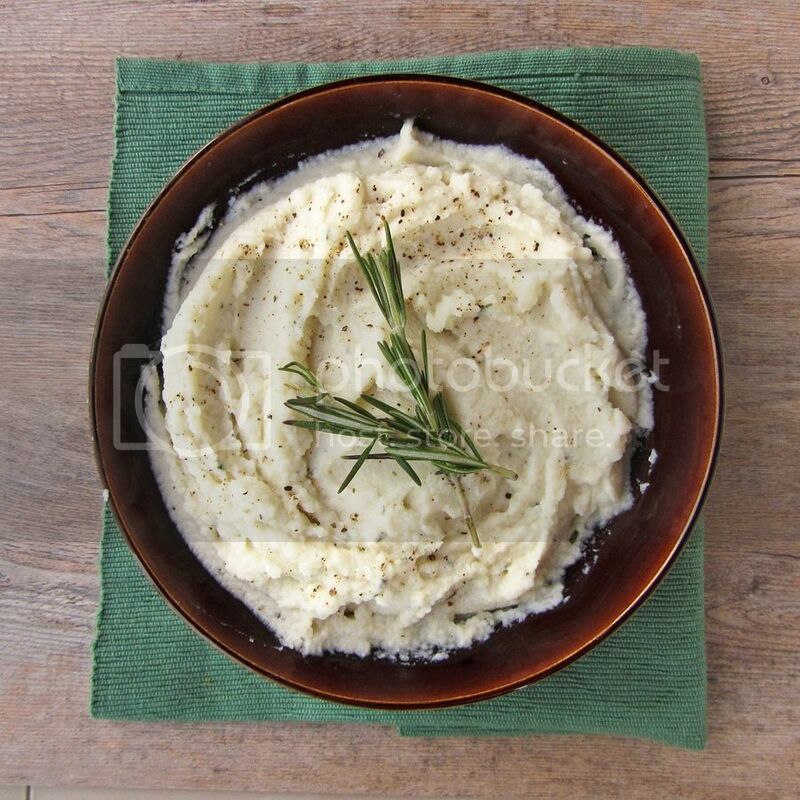 I love it, and you don't feel as guilty as you do with mashed potatoes! I would love to try this. I know! I wish I'd discovered it so much earlier! I probably will, but if not I'm sure I'll be making it again soon! I love goat cheese too! It's definitely my favourite type of cheese. I must check out this cookbook! 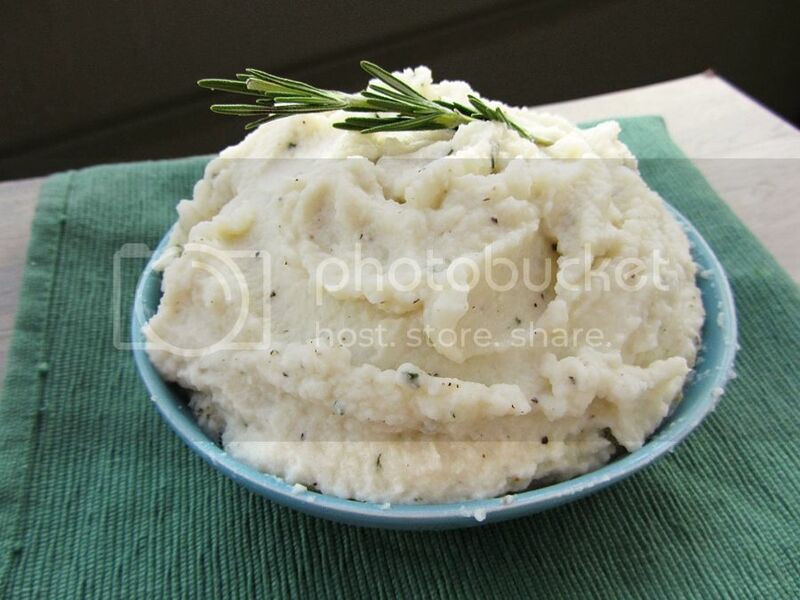 The mashed cauliflower looks amazing! Mmmmm! :) I may have to make this for Sunday Thanksgiving dinner. I love pureed cauliflower. 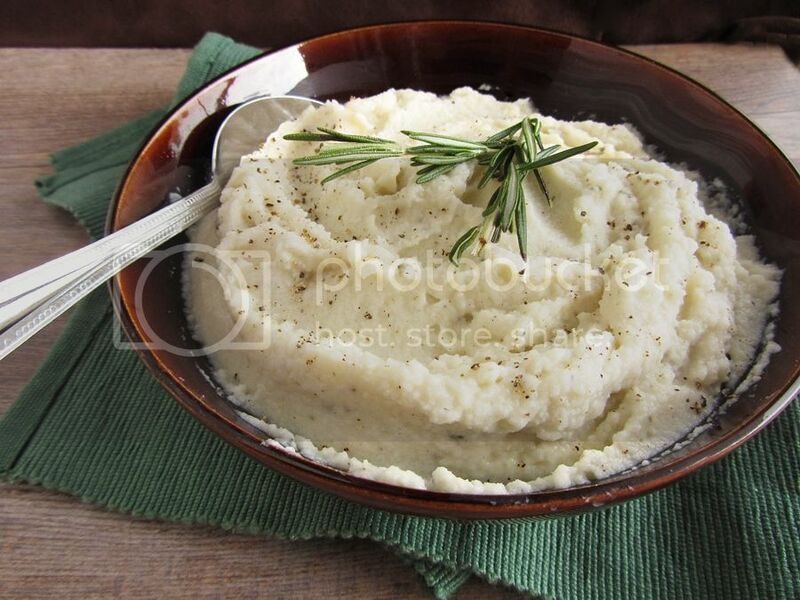 I have a weakness for mashed potatoes and I love to put heaps and heaps of them on my plate. With pureed cauliflower, I can have those heaps without guilt. :) Such a great recipe! I'm a sucker for cheese of all kinds...but especially goat cheese. It has a special place in my heart. I love the idea of it mixed with mashed cauliflower!! It's the season for purees! cauliflower is the golden ticket to puree's if you ask me. Looks delicious! This sounds great! I have been meaning to try a pureed cauliflower and it's definitely hard to resist goat cheese!